Seminole patchwork from the various Seminole Indian tribes creates strips of patchwork quilting designs often used as borders for skirts, pillowcases or even curtains. 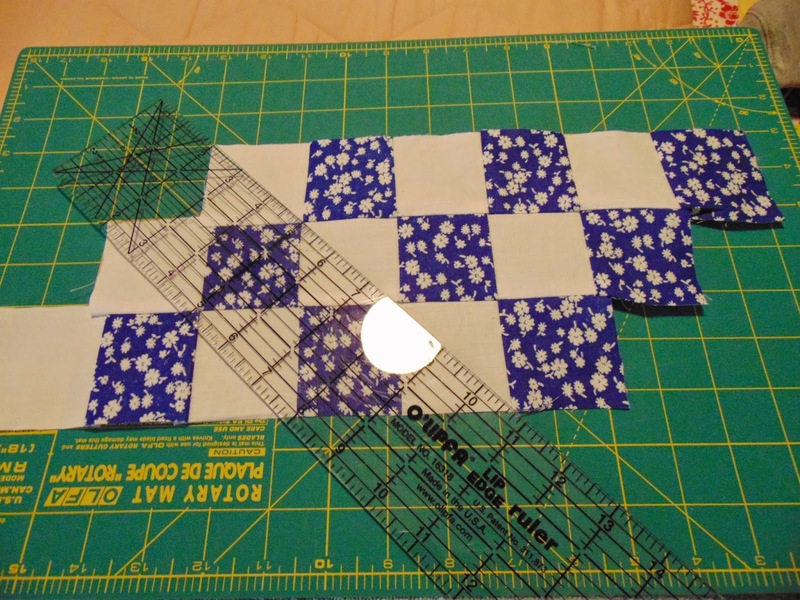 You can make this patchwork with strips of fabric instead of squares, cutting hours of time off your project. You’ll need at least two different fabrics -- a solid and a print will show the design best. For this example, we used 2 1/2 inch strips that were the width of the fabric. We use 1/4 inch seams and the result is 2 inch squares for the Seminole patchwork. We use a rotary cutter and cutting board for precision and speed. Trim the edge of the fabric so that it’s straight and square at the corners. Press if necessary. 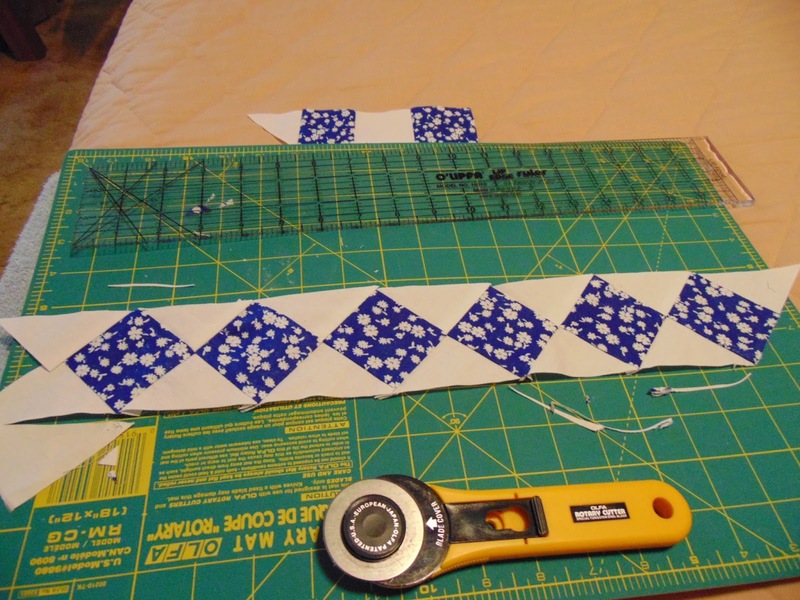 Cut strips horizontally on the folded fabric from center to selvage. We used 2 1/2 inch strips for both fabrics. Alternate the fabrics for stitching. Use 1/4 inch seam allowance. 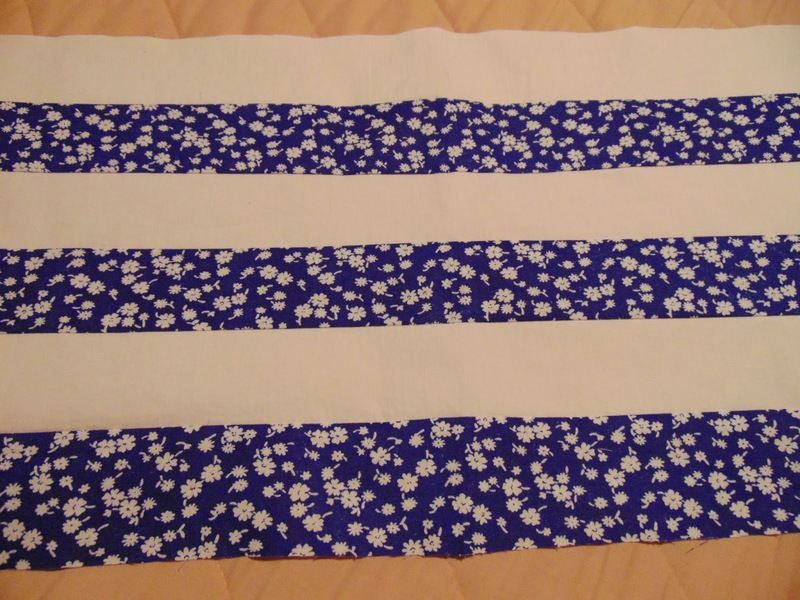 We stitched six alternating strips to make this design. Press the seams toward the darker color. Unlike garments, we never press seams open in quilting to prevent batting from coming out or showing at the stitches. 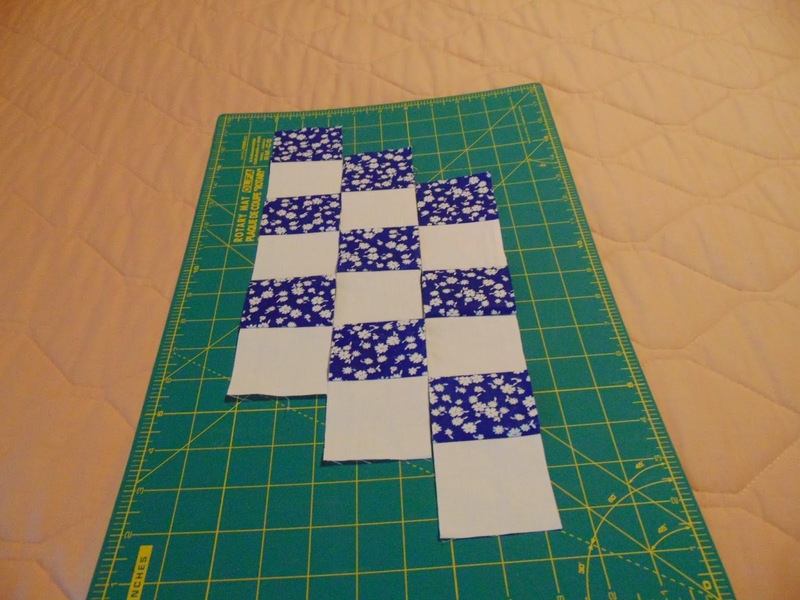 Place the six sewn strips on the cutting board and cut in 2 1/2 inch strips vertically. 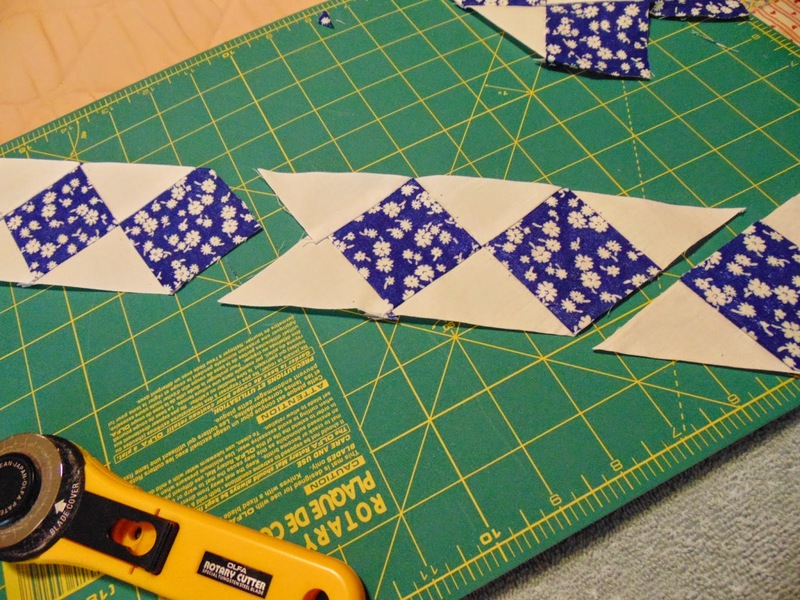 Assemble these cut strips like a ladder, pinning at every cross-seam. Stitch together with 1/4 inch seams. Press all seams from the backside. Place the laddered strip straight on the cutting board. Cut a diagonal from the top left edge of one solid-colored square to the bottom right edge of the laddered matching square on the bottom. Move the ruler over and cut another square, skipping the dark block. Our cuts are 2 1/2 inches apart. Continue until you have only scraps remaining. Stitch the pieces together to create one long strip of Seminole patchwork. Press the seams from the backside. 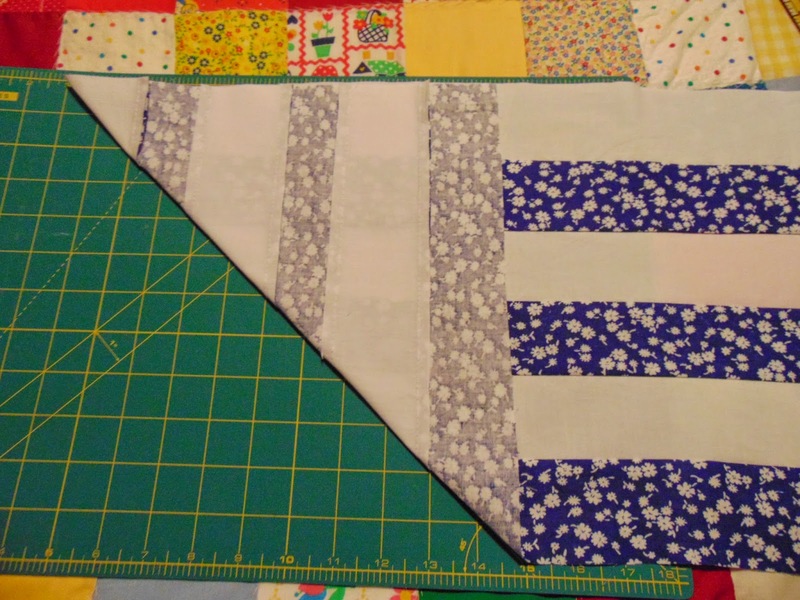 Trim the edge of the patchwork if necessary and it’s ready to use for pillows or home décor, skirts or wearing apparel. You can also make a belt or use it for a purse handle or design. You may want to use light fabric for a backing to add to the strength of the Seminole patchwork if you’re using it for something that requires a sturdy fabric. Once you’ve worked with this awhile, try different combinations or colors and three or four color strips. The possibilities are only limited by your imagination.